Think of this challenge: You are the manager of a 5-star hotel. It is located in an Islamic country. Your guests are both well-heeled locals with petrodollars to spend, and well-heeled tourists from other parts of the world. You cannot overtly promote your wine list. Your wine list is really, really good. 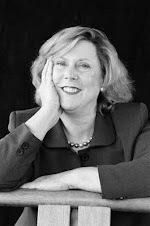 What’s a hotelier to do? The answer is to rely on word of mouth, and that, in part, is what this blog is about. If you are anywhere near Muscat, Oman, you MUST go to the Al Bustan Palace and experience their wine and their fabulous food. Erika Anggreini, public relations manager, made a visit and tasting possible. At a table set a few feet from the lapping waves of the azure waters of the Sea of Oman near the hotel’s Al Khiran Terrace restaurant, the assortment of wines presented by Mark Fagan, Beverage Manager, was simply incredible. “Our wine list changes constantly,” he noted. It takes a while for us to get inventory here, and our clientele like a wide variety of wine experience.” For those who do not consume alcohol, the hotel offers sparkling date juice and other interesting beverages. The surroundings of course were as equally incredible as the wines. visiting heads of state and members of royalty. 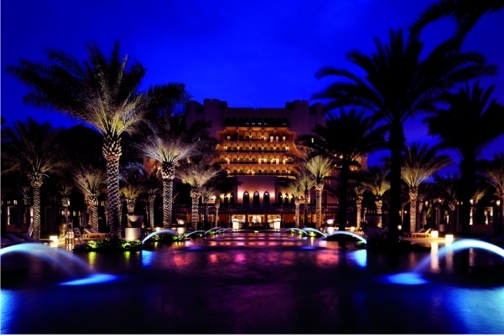 This amazing hotel was originally built to host the Gulf Cooperation Council (GCC) Summit in 1985. 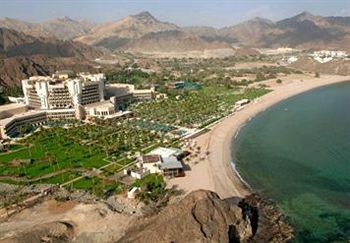 The hotel is owned by the Ministry of Tourism of the Sultanate of Oman and has been managed by Ritz-Carlton since mid-2011; general manager is Bernard Viola, who has a 20 year career in the hospitality industry. Our tasting began with the 2010 Villa Maria Sauvignon Blanc, New Zealand, a popular pour at the resort, particularly with EC guests, noted Mark Fagan. Redolent of gooseberry, lime and citrus, it is a relaxed wine perfect for beachfront dining. 13.5% alcohol. The food pairing presented by the culinary team headed by Joergen Sodemann, Executive Chef, was scallops with passionfruit, mushrooms and fennel. The 2009 Spy Valley Pinot Noir from Marlborough, New Zealand, is yummy with lots of red fruit, coffee, and chocolate flavors, with nice spice and well integrated tannins. 14.5% alcohol. Chef Sodemann paired it with a seared tuna with savory spices, and a mango salsa. In my opinion, seconded by beverage manager Fagan, the best wine of the evening is an Amarone Classico della Valpolicella, Riserva 2003, Verona. A blend of three types of grapes, usually Corvina, Rondinella, and Molinara, it is sweet and dry. “A King of Red Wines,” proclaimed Fagan. This was an excellent wine for the end of the meal. 16% alcohol. Ending the evening on a sweet note, we enjoyed the 2010 Sauvion “Chemin des Sables” Rosé d’Anjou from France’s Loire Valley. It’s a blend of Cabernet Franc, Gamay, Pineau d’Aunis (Chenin Noir), and Grolleau. Aroma of peach, cherry and strawberry. Nicely acidic, and semi-sweet. 11% alcohol. The producer’s website recommends serving this Rosé chilled with Asian foods. I recommend serving it chilled at the side of the Sea of Oman. Many thanks to the team at the Al Bustan Palace for hosting what is clearly the most memorable wine event of my life. When I strike oil, I’m coming back. 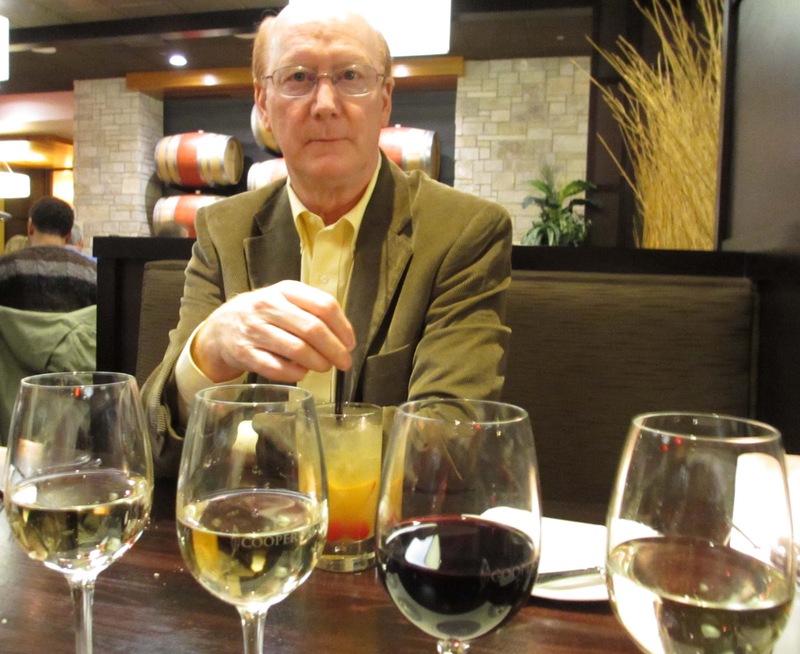 Making wine accessible, inexpensive and well-paired with good food: that’s what Cooper’s Hawk restaurants have accomplished. And if my math is not too bad, I think they bring several million a year to the bottom line too. My brother claims that he doesn’t know one wine from another. He does. He knows if a wine is red, white, pink, or sparkling. Regardless of this claim, in fact he appreciates when wine and food pair well, and this is what Cooper’s Hawk makes easy. I loved the menu. The wine list is substantial, with at least 30 wines to choose from, all made by Cooper’s Hawk from grapes trucked in from California, Oregon and Washington and a few other states. The 60,000 square foot facility in Southwest suburban Chicago will soon be expanded to 80,000 square feet with a goal of 100,000 square feet. 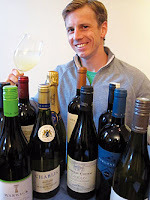 Current case production is 175-180,000 cases, according to Indianapolis restaurant manager Matthew Kehret. (The website notes “over 125,000 gallons” a year.) Indianapolis is one of 6 locations in the Cooper’s Hawk Winery and Restaurants group; more are planned soon for other Indiana and Ohio locations. Rob Warren is the primariy winemaker, collaborating with owner Tim McEnery. 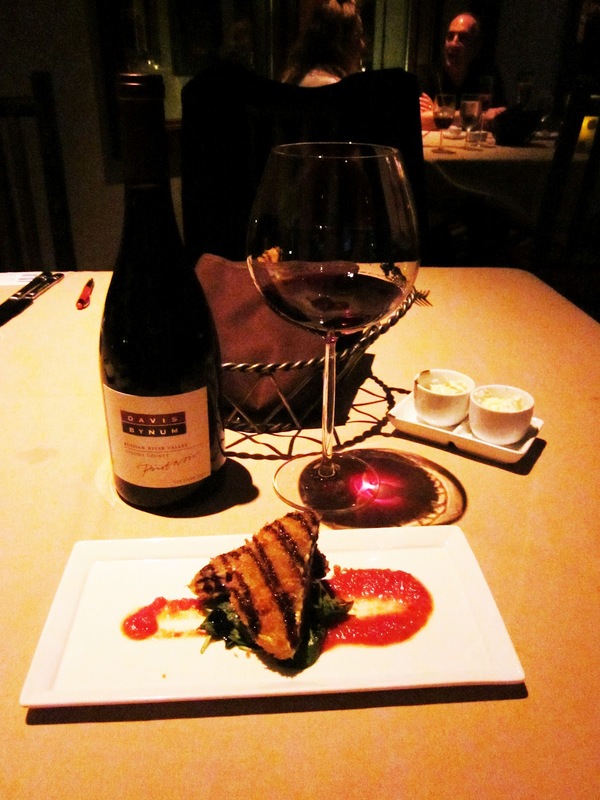 Warren’s chops include Kacaba Vineyards in the Niagara region of Canada, and Tarara winery in Virginia. At the side of each wine on the menu, there is a “bin number”. On the other pages of the menu – appetizers, main entrees, desserts – are listed brief descriptions of the items on offer, and those items also include a Bin Number. There is also a Life Balance Menu, part of the group’s recognition of trends in healthy eating. · Beef tenderloin sliders. Cabernet Zinfandel (bin 94) . A blend of 60% cabernet and 40% zinfandel. Not as hearty as I would have assumed it would be, but a nice drinkable red that’s beef-friendly. 13.5% alcohol. · Bacon-wrapped scallops with roasted pineapple and a white rice pilaf. Gewurztraminer (bin 73). Nicely sweet but not over the top, and a good pairing. 13.5% alcohol. Our server presented us with the wine club brochure at a strategic moment, that is to say, after a few glasses of wine. The wine club has some nice features, such as the ability to earn “points” for every dollar spent at the establishment, and for 350 points you receive a $25 certificate good towards dine-in or carry-out food. You can choose to join the wine club in four categories: variety, red, white, sweet. If you sign up to receive one bottle of Sweet wines each month, you’ll pay $16.99. For the other categories, it’s $18.99. With 4000 wine club members in the E. 96th Street, Indianapolis, establishment alone, that’s over $900,000 in revenue yearly. (And membership keeps growing! This establishment has only been open for 18 months….). Let’s say, generously, that the cost of goods sold is about $4 per bottle. That’s $192,000 a year. So the wine club brings down to the bottom line OF JUST THIS ONE ESTABLISHMENT, a healthy $700,000. Of course there are marketing costs. But the restaurant was pretty busy and I have a hunch that that operation covers its own expenses, and then some. The servers are not sommeliers, WSET or other high-priced labor. There’s a lot of automation in place in assigning tables and calling diners by those vibrating devices that you are given when you check in. There's a wine tasting area and a gift shop too. I like this model. They’ve got a great thing going. You really need to see the operation for yourself. It’s a great way to introduce a wine-shy public to the concept of food and wine pairings in a way that guarantees them a nice experience. I hope to meet Tim McEnery in person someday. He and wife Dana have created an impressive enterprise since opening their first winer/restaurant in 2005 in Orland Park, IL. The website doesn’t give me a clue to the name of the enterprise, but I’ll ask him when I meet him. In the meantime, you too can “meet” Tim virtually at http://www.coopershawkwinery.com/ Go to the PressRoom to see the short video. Impressive. To my mind, there is no lakeside dining quite as beautiful as the Lone Eagle Grille at Hyatt Regency-Incline Village. It has one of the best wine by the glass lists in the Tahoe region, and I like particularly that they list their wines “from light to full bodied”; the wine tasting notes below are in that order. The list changes all the time of course, but here are some that I enjoyed, paired with their exquisite food. The Dr. Loosen Riesling 2009 is a bit frizzante and oh so yummy. At a mere 8.5 percent alcohol, this popular Riesling comes from the Mosel-Saar-Ruwer area of Germany. It is vibrant, fruit-driven, with luscious pear, peach and apple aromas. Its crisp sweet-tart quality paired nicely with broccolini tempura. $10/glass, $39/bottle. The Lenotti Pinot Grigio 2010, from the Veneto region of Italy is light and fresh. You might taste citrus mid-palate, but certainly the minerality is perfect with the pairing of butternut or sweet corn soup. 12.5 percent alcohol. $10/glass, $39/bottle. The Talbott “Kali Hart” Chardonnay 2009 , Monterey County, is nice and juicy, fruity and sweet at the finish. Aroma of mandarin and honeydew, with tastes that hint of pineapple and mango, vanilla and a bit of butter.It is named after the youngest of the Talbott children and that may contribute to its playful personality! It’s very flavorful, medium-bodied, and perfect with salmon. 14.9 percent alcohol. $14/glass, $55/bottle. Davis Bynum Pinot Noir 2009, Russian River Valley, elicited some thoughtful commentary from Lone Eagle wine steward John Marti. “This represents what I believe is a true California pinot. It is full bodied, concentrated, featuring balanced and well-focussed fruit. It is rich and soft, not as spicy as an Oregon pinot.” Paired beautifully with a panko-coated portobello mushroom. 14.5% alcohol. $14/glass, $55/bottle. The Rosso Passo 2009, a Sangiovese and Merlot 50/50 blend from Veneto, Italy, was perfect with the vegetarian dish of wild mushrooms. It’s an earthy, woodsy, food friendly wine. 12.5% alcohol. $11/glass, $43/bottle. The Opolo Summit Creek Zinfandel 2009 just has a big YUM beside it on my tasting notes. I adore Opolo wines, and Lone Eagle has a great selection of them. 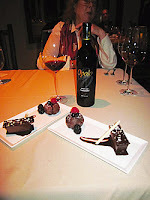 They paired it with a chocolate duo, and what’s not to love? 15.6 percent alcohol, so take it slow. $13/glass, $51/bottle. Another big YUM for the Educated Guess Cabernet Sauvignon 2009, a beautifully balanced wine that is incredible every year. Paired with a buffalo tenderloin. 14.5 percent alcohol. $16/glass, $61/bottle. When you want to give a gift, I suggest a case of wine. ﻿ When you want to give a gift with more than the usual thought behind it, for such occasions as Valentine’s Day, birthdays, anniversaries, I suggest a case of wine. I used this formula as a guide for my son’s Christmas gift. He already had an Italian Chianti and Australian Riesling, so I bought 10 bottles. My tab was $160. This almost-case was a great gift, and affordable. My list is below. The 2011 Field of Stones Sauvignon Blanc, Marlborough. This also is a Wall Street Journal Wine Club selection. Intense flavors of lemon, thyme and guava with crisp acidity and a lingering minerality. 12.5 percent alcohol. For the first red, the Bordeaux Superieur 2008, Chateau de Bonhoste, a Grand Vin de Bordeaux from Famille Fournier. This red wine, 12.5 percent alcohol, is a blend of 70 percent Merlot, 20 percent Cabernet Sauvignon and 10 percent Cabernet Franc. Garnet-red in color, a baked-fruit bouquet, full body, soft and well balanced, and a nice fruity finish. The second red was the Cotes du Rhone Villages 2007, Laudun, Chateau Courac. 14 percent alcohol. For the sparkling, the Brut Champagne, Nicolas Feuillatte of Chouilly, France. 12 percent alcohol. The second white with the Chablis Millesime 2009, Simonnet Febvre of Grand Vin de Bourgogne. 12.5 percent alcohol. I chose the 2009 Malbec, Viña Amalia, Reserve Single Vineyard, Valle de Uco, Mendoza . Fine red fruit aroma, with a fresh taste and well-balanced medium tannins. Flavor of plums and vanilla. 14 percent alcohol. My pick was the Warwick 2010 Professor Black Sauvignon Blanc, from Stellenbosch. Warwick cellar lies on the celebrated slopes of the Simonsberg Mountains in Stellenbosch. Pear and peach aromas, and a pleasant minerality. 13 percent alcohol. Give your local wine shop your budget, PJ’s generic shopping list, and they should be able to approximate the selection and the cost.